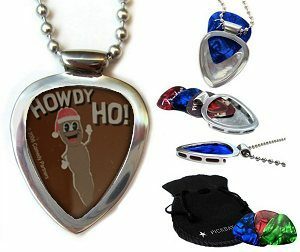 Classic Stainless Steel PICKBAY guitar pick holder pendant with GOTHIC CROSS Guitar Pick (by Pickboy Japan) and custom 3.2mm stainless steel bigger ball chain. 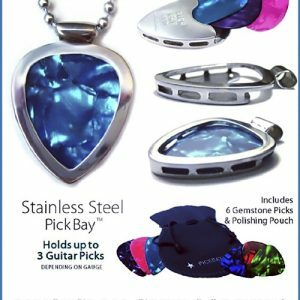 Both the PICKBAY pendant and chain are 100% stainless steel and are hypoallergenic! 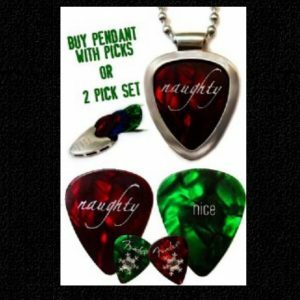 Gorgeous GOTHIC CROSS guitar pick makes a very cool gift set! 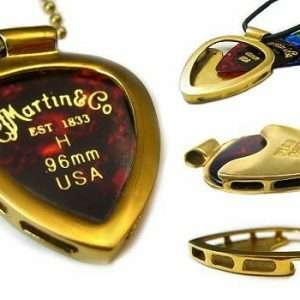 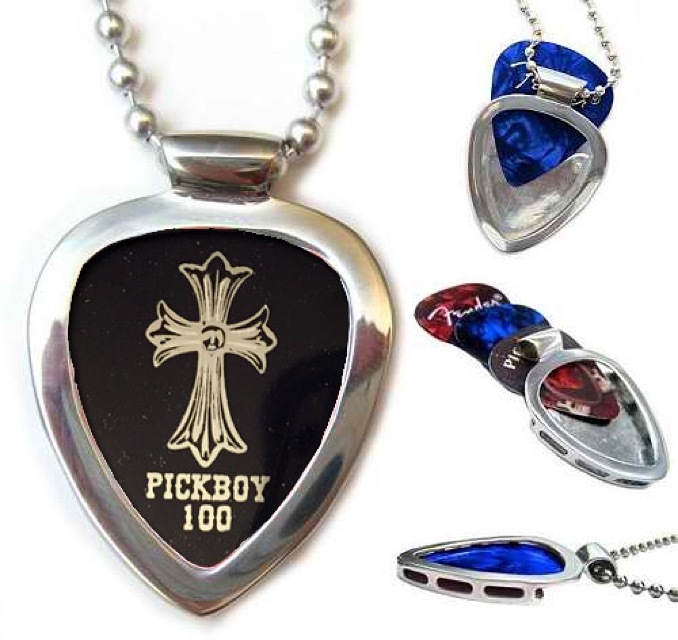 Complete with PICKBAY stainless steel pendant 3.2mm stainless steel bigger ball chain GOTHIC CROSS guitar pick 3 additional gemtones celluloid guitar picks (ruby, sapphire, emerald colors) velvet polishing pouch Fabulous gift set they will love forever!